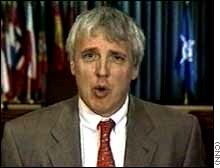 WASHINGTON (CNN) -- President Clinton has authorized the Central Intelligence Agency to look into ways to destabilize the government of Yugoslavian President Slobodan Milosevic, sources have told CNN. The authorization comes in the form of a "finding," a highly classified document authorizing covert operations. The sources have told CNN that the finding authorizes the CIA to consider the use of computers to conduct cyberwar against Milsoevic. 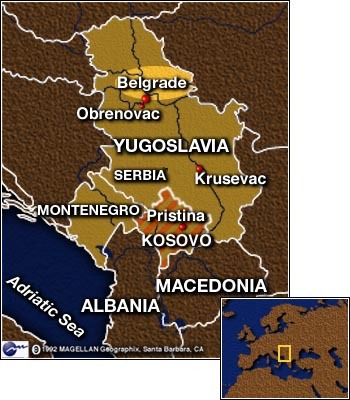 Contrary to some news reports, however, it does not authorize the CIA to train Kosovo Liberation Army rebel forces to perform covert act against the Serbs. 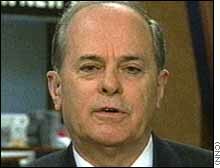 Sources say the finding does authorize the CIA to examine ways to destabilize the Milosevic government. It is not clear that any of the ideas being examined have gone into effect or will ultimately be put into effect. In Brussels, NATO officials said on Sunday that preparations for a possible rapid deployment of up to 50,000 troops in Macedonia are not a prelude to an invasion of Kosovo. 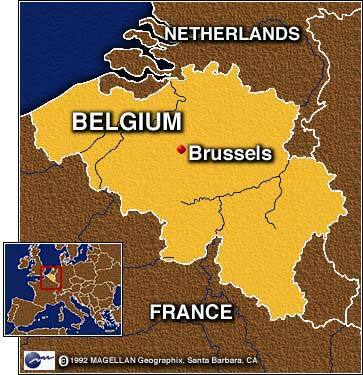 "Nobody is talking about putting in ground troops into a combat situation," said NATO spokesman Jamie Shea. "Everybody agrees that the air campaign has to run its course until such time as those Serb forces are degraded, diminished, demoralized and on their way out." 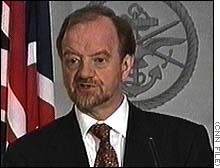 "What we need to do is first of all intensify that (air) campaign, so we continue to grind away at the war machine in Kosovo and at the same time get on with our plans and preparations so we are ready to take advantage of success when the Serb forces can no longer hold Kosovo," British Foreign Minister Robin Cook said on NBC's "Meet the Press." "The sooner we get started, the better," he said. 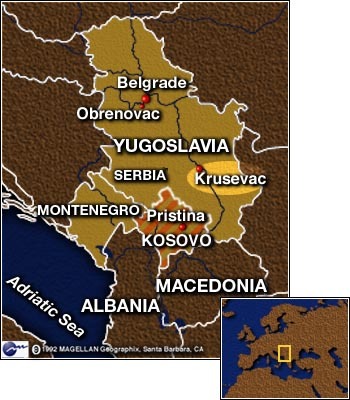 But Yugoslavia's top diplomat at the United Nations, Vladislav Jovanovic, called the proposed increase in troop strength "a very dangerous new step in the wrong direction." "This is a disguise for invasion which is in preparation, and nobody can call it a liberation of Kosovo," Jovanovic said on CNN's "Late Edition." NATO currently has about 13,000 troops, mostly British and French, in Macedonia as part of a future Kosovo peacekeeping force, called KFOR. The Pentagon said 45,000 to 50,000 troops would likely be needed for that operation, up from an initial assessment of 28,000. On Tuesday, representatives of NATO countries will discuss the possible increase of troops. "For some time, we have asked NATO to do assessments and updates of plans -- one for entry in a permissive environment and the other, nonpermissive," said U.S. Secretary of State Madeleine Albright on CBS' "Face The Nation." "We are now focusing very much on the entry into a permissive environment." However, Cook told the BBC that NATO must be ready to "deploy troops in a permissive or a nonpermissive environment" -- meaning with or without the Yugoslav government's consent. Cook also said there are signals from Washington that the United States was no longer categorically rejecting early deployment of ground troops. In an opinion piece published in Sunday's New York Times, U.S. President Bill Clinton reiterated NATO's oft-stated view that the air campaign was working, but said he did "not rule out other military options." Also on Sunday, Albright said that Yugoslavia has lost one-third of its military equipment and infrastructure -- an assertion that brought a strong response from a key American congressional leader. "When the secretary says we have degraded their military fighting capability by one third -- excuse me? One third? When we have been bombing now for almost two months?" Senate Majority Leader Trent Lott said on CBS. "Sixty thousand sorties, and we have only degraded their military fighting capability by one-third? This is very tough to understand or accept," he said. On the ground in Yugoslavia early Sunday, NATO bombs put the country's largest coal-burning power plant out of business, the state-run Tanjug news agency said. 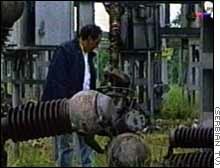 Tanjug said two rockets hit the Nikola Tesla plant near Obrenovac, 30 kilometers (20 miles) southwest of Belgrade, just before dawn. The attack caused "additional problems" in supplying the Yugoslav capital with electricity after attacks early Saturday struck the nearby Kolubara power plant. Overnight, NATO planes flew 652 sorties over Yugoslavia, 301 of them striking targets, officials said. NATO targets included armored vehicles and tanks; artillery positions; parked aircraft; a command post; ammunition and petroleum storage sites; and communications facilities. "It was quite an intensive night of air operations," Shea said. Also Sunday, there were more reports of anti-government protests in the central Serb town of Krusevac, where reservists and families of military personnel have demonstrated this week, calling for the return of soldiers. 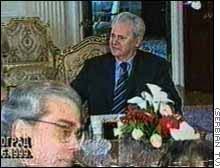 But in Belgrade, despite bombings that have knocked out power and water to the Yugoslav capital, there were no public signs of discontent against the leadership of Milosevic. Rather, the bombings appear to be galvanizing public opinion against NATO. Correspondents Walter Rodgers, Carl Rochelle and Matthew Chance contributed to this report.